Home Scinece-Tech How To Charge Your All Devices At Once With Pitaka Magdock? Pitaka magdock is a wireless magnetic charging dock. It can charge the phone, watch, a smart power bank which is integrated with IOT technology. It is a very good travelling kit for all the gazettes you need for your trip. It is more effective than airpower and also you can get it at more reasonable price than air power. This all-in-one charging dock can charge your all devices wherever and wherever you want. It is also a portable power bank. Know more about this wireless all devices charger. It can charge 3 devices at once. You have to stick your phone tightly on the charging area. It will be charged continuously without any light indicators. Magdock does not have any light leakage when it is charging. It has 7800 mAh inbuilt battery. It is a power bank too. How to charge your watch with pitaka magdock? You have to stick your Apple watch tightly on the charging area. Or you can place your watch to the charging dock. Then it will charge continuously without any light indicators. How to charge your power bank with Pitaka magdock? You have to stick your power bank tightly on the charging area then it will charge continuously. 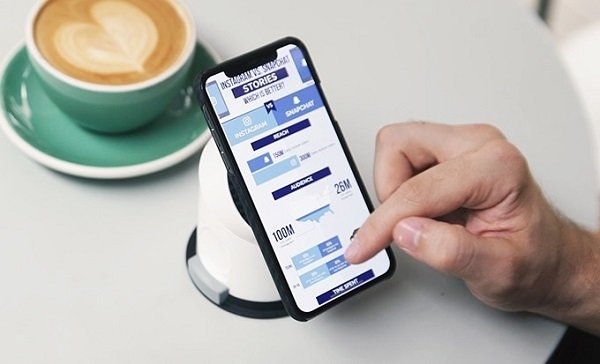 QI charger- it can install up to 10W which allows to any QI-compatible devices for fast charging including Android mobile phones, Apple watch etc. Inbuilt power bank- it has an inbuilt backup power bank with 7500 mAh power capability. Twist & dock- especially intended geared dock which allows you to turn to twist the dock to the presentation angle you need. Smart controlled by app function- it comes with an extra pad, which is magnetically connected to the main base. This allows you to charge an additional device. Pitak magdock is the new upgrade ultimate all-in-one wireless charging dock for all your devices. A standby power bank monitored by IOT technology and the zip & go travelling kit gives you the chance to lead a smart life. It can charge 3 devices at once. The innovative design of a twist top took your standard charging dock and turned it into a convenient stand for your devices and also for you. Durability is reliability. You do not have to face any vibration, sliding, moving when you are connecting or removing your devices from Pitaka magdock. The Nano base gel provides a secure base gel to the magdock for this it always sticks remain in the right place. You can put your device in any direction on this device and it will give its connection to your device. The twist and dock feature lets you adjust your best viewing angle you need. Even you can do hands-free video call with your friends also when it is charging on this wireless charging dock. Something you will your find your phone battery remains flat after charging it whole night. It can be for you, your kids or pet. But with this Pitaka magdock wireless charging pad it cannot be happened. Magdock auto aligns your phone if once it is being attached on. Your phone will stick tightly on the charging area and it will be charging continuously. Pitaka magdock wireless charger has no any light indicators. For thi it has no power leakage problem while it is charging your device or being charged its power bank. This is the ideal nightstand charger. It has a portable powerbank with 7800 mAh power. Whenever you to need power your devices, Pitaka magdock is ready for this. You can charge more devices with this wireless power bank with its extra additional power pad. Where you are that is no matter. You can be in airport for waiting you’re your flight, you are working in outdoor and your device is run out of power. Just grab this wireless multi device charger and enjoy whatever you are doing with your gazettes. Pitaka magdock has a companion apps which tracks whether your device is being charged or not and informs you the result on your device. This charger is available for Androids and iOS. If Pitaka magdock battery is low or charged full or unplugged from the charging socket then it will inform you.